Our organization is listed at the apex amidst the list of trustworthy manufacturers of Hammer & Pincer Holder. Provided with extended strength and ensured for longer functionality, these products are demanded for their ability to easily hanged the same anywhere. Can be placed conveniently in the holder, these products are acclaimed for their rugged design, rust proof, wear & tear resistance and longer functionality. We are counted among the trusted manufacturers, suppliers and exporters of a Sheet Metal Pincer & Hammer Holder. All the products are developed by skilled professionals using high-grade material and components, thus ensuring that these cater to clients' requirements. Further, to attain maximum satisfaction of our esteemed clients, we offer these products at market leading prices. The product is also known by its Italian name as (A) Porta martello (B) Porta tenaglia. 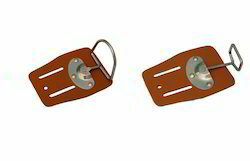 We have in our store a wide variety of Pincer & Hammer Leather Holder for the customers. All the products are developed using high-grade raw material and modern machines that are procured from the reliable vendors of the market. Designed to perfection under the guidance of deft professionals, these products are further checked for any kind of finishing defect before dispatch. The product is also known by its Italian name as (A) Porta martello oscillante cuoio (B) Porta tenaglia oscillante cuoio. 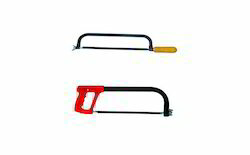 We are counted among the trusted manufacturers, suppliers and exporters of a Carpenters Claw Hammer. All the products are developed by skilled professionals using high-grade material and components, thus ensuring that these cater to clients' requirements. Furthermore, to attain maximum contentment of our esteemed clients, we offer these products at market leading prices. The product is also known by its Italian name as Martello Carpentiere. We have in our store a wide variety of Hexa Frame with Wooden Handle for the clients. All the products are manufactured using superior quality material and advanced machines and that too in exact accordance with the defined industry quality standards. Designed to perfection under the guidance of deft professionals, these products are further checked for any kind of finishing defect before dispatch. We are looking Export queries majorly from Gulf Countries and Saudi Arabia. Garden Rake available in riveted and welded sockets also available socket with support. It is also available forged in one piece including socket. Clients can avail from us a Garden Rake, which is offered at competitive market prices. 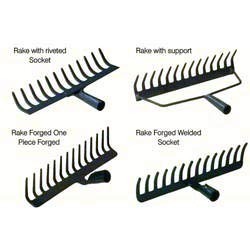 These rakes are available in riveted and welded sockets and for providing support these are furnished with sockets. 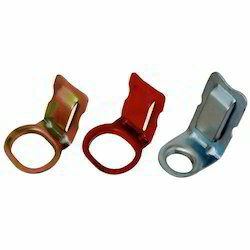 In addition to this, these are also provided with forging in one piece including socket. Moreover, to ensure that a seamless array is delivered at clients’ premises, we check the finished Garden Rake on tough parameters. The product is also known by its Italian name as Rastrello da giardino. 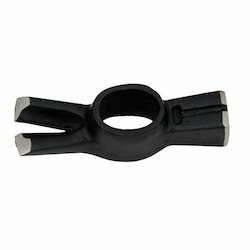 Looking for Hammer & Pincer Holder ?